First farting. Now peeing. What’s next? Pooping? Mubarak also said the Marines should never spit or urinate to the west, the direction of Mecca that Muslims in Afghanistan face when they pray. In addition, when sharing a base with Afghan army troops, Marines shouldn’t sleep with their feet pointed west, because that also is considered offensive, he said. A newspaper in Colorado, the Greeley Gazette, followed up this week, reporting that Lt. Col. George Robinson, operations officer for COACL, said Murabak’s statements do not reflect Marine Corps doctrine. And therein lies the rub. At its best, the training and other cultural awareness efforts teach Marines new ways to understand their surroundings on deployment, potentially preventing some problems. No orders have been put in place, but the training has provided suggestions that may or may not help in Afghanistan on a given day. Much like the recent flap over Marines being advised to fart carefully in Afghanistan, the message has spiraled from what it was originally. The best-case scenario is that we find a little humor in the situation, and learn something about another culture in the process. Then, like anything else, the Marines on the ground can apply it — or ditch it — as common sense dictates. Silly? you make light of this? THE PC CRAP HAS GONE TOO FAR…AND YOU MAKE LIGHT OF IT? REALLY…ITS CALLED BRAINWASHING AND KOW TOWING! WISE UP! WHY SO MANY CAPITAL LETTERS? … ahem. If you were a guest in someone’s home, would you insult them? Alex, WE are insulted every day in our own country! For a female to be in their country she has to be covered ,no shorts or tank tops or anything revealing at all. But what would happen if we told them they weren’t allowed to wear their Hajibs, and Shrouds or whatever when they were here? The ACLU would probably jump om pur backs and we would end up dressed like them……. Well your also supposed to treat your guests with respect. Which is something they do not. Even considering the untold amounts of money we give them. Or that we are losing Americans while attempting to solidify their new government. We are taught that we need to bend over backwards and drop anything we normally do in order not to offend anyone. Now I do not believe we should go out of our way to be jerks and should observe their major customs however when the ones we are fighting are able to throw every custom out the door in order to fight us more effectively it makes you wonder at what cost is being so PC worth it? While peeing in a certain direction is a small thing it gets more important as they wish to ban nighttime raids. Why? Because it offends them… Unfortunately the Taliban still operate at night but we will be thes ones with our hands further tied because we’re being PC. Sure…be respectful to the locals…but PC or lack of PC should never put our troops in harms way..
Around 2006, Marines began being assigned as embedded trainers (ETTs) with ANA troops, often in very small numbers (two or three Marines) at isolated FOBs with a hundred or more Afghan soldiers and no other friendlies nearby. CAOCL was asked how cultural awareness might reduce some of the inherent risks involved and lessen the vulnerability. This whole flap proceeds from some of the advice taken totally out of context, and is a good example of how unqualified instructors can garble the message and fubar the situation. CAOCL research showed that scores of British soldiers and officers in the first half of the 20th century on similar duty with Pashtun tribesmen in then-northern India were killed in their sleep for such unintentional offenses as sleeping with their feet toward Mecca or urinating in the direction of Mecca. 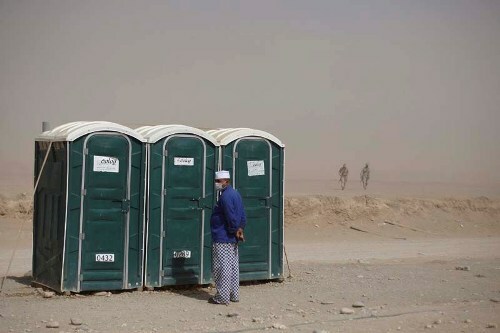 Therefore CAOCL advised ONLY EMBEDDED TRAINERS (ETTs) WHEN OPERATING WITH THEIR ANA TROOPS IN A NON-COMBAT SITUATION “avoid peeing in the direction of Mecca” WHEN IN DIRECT SIGHT OF ANA TROOPS AND, IF FORCED TO SLEEP IN IMMEDIATE PROXIMITY TO ANA TROOPS, TO “point their heads West” AS A SENSIBLE PRECAUTION. It never had anything to do with Marines not operating as embeddded trainers, or Marines out of sight of their ANA troops. In the last 12 months, 56 foreign troops have been killed by ANA soldiers turning their guns on them and opening fire. No one knows how many more have been betrayed into ambushes, etc., by pissed off (pun intended) ANA soldiers. Evidence indicates at least some of these murders resulted from cultural mistakes. So, the advice for ETTs was not wrong, it was simply taken totally out of context and applied where it was never intended by the course developer to be used. Pretty nice post. I simply stumbled upon your weblog and wanted to say that I have really enjoyed browsing your blog posts. After all I’ll be subscribing to your feed and I hope you write again soon! Hello very cool website!! Man .. Excellent .. Superb .. I’ll bookmark your blog and take the feeds additionally?I’m glad to seek out so many useful info here within the post, we want develop extra techniques on this regard, thank you for sharing. . . . . . It is appropriate time to make some plans for the future and it is time to be happy. I’ve read this put up and if I could I desire to recommend you some fascinating issues or advice. Perhaps you could write next articles regarding this article. I desire to read even more issues about it! F*ckin? awesome issues here. I?m very happy to peer your post. Thank you a lot and i’m looking ahead to contact you. Will you kindly drop me a mail? certainly like your website but you have to check the spelling on quite a few of your posts. A number of them are rife with spelling issues and I in finding it very troublesome to inform the reality however I’ll definitely come back again.